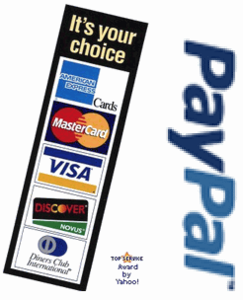 We use a secure shopping cart system and our e-commerce site is based on the Yahoo! platform. US Customers receive FREE Standard Shipping & Handling. Non-US customers pay a flat $15.00 per order. We guarantee that you will be happy with your e-pill medical device. We offer you a 30-Day Money Back Guarantee on all purchases. When you enter your credit card number information at check-out, it is transmitted across the Internet in an encrypted (scrambled) form, then decoded when it gets to us. For added security, we also encrypt the credit card number when it is stored on disk.